Foz do Iguacus - Wakanda, Africa's fictitious city in the movie 'Black Panther' has a very beautiful waterfall. The beautiful waterfall was in reality. Where is it? Black Panther produced Marvel is busy talking about the world. The film, which runs on Wakanda, a fictional city in Africa, has a rich and beautiful nature. One of the catching backdrops is the waterfall. This waterfall is shown when T'Challa crowned King Wakanda. Collected updetails.com from various sources, Thursday (22/2/2018) waterfall in Wakanda inspired from Iguazu Waterfall, though actually filming this scene in the studio. 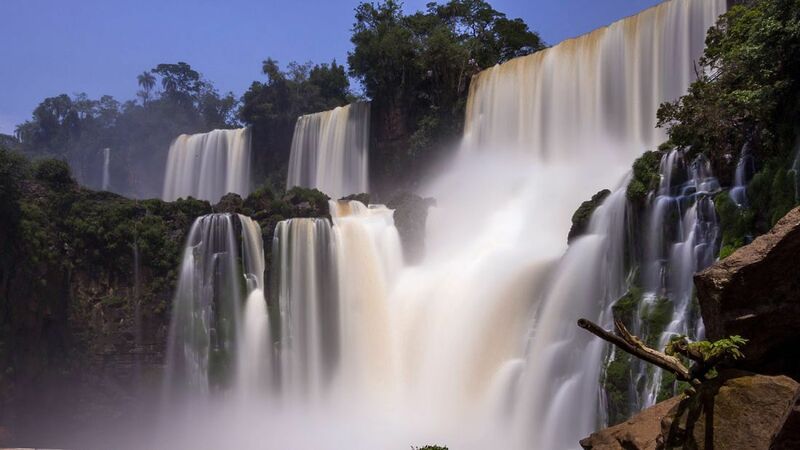 This waterfall is located on the border of Argentina and Brazil. 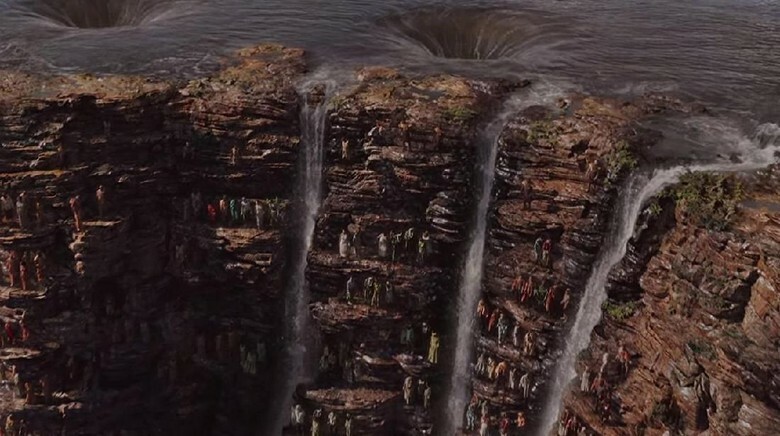 Not only in the film Black Panther, Iguazu Waterfall also often appear in Hollywood movies. This waterfall is famous because in addition to very large also has a very beautiful scenery. In the surroundings there is a green landscape of tropical rainforest is still well preserved. The area around Iguazu Falls is indeed designated as a National Park area to keep this beautiful waterfall maintained. UNESCO has also established Iguazu Waterfall as one of the World Heritage List. The natural wonders of Iguazu are home to approximately 2,000 species of Latin American flora and fauna, such as Jaguars, Howler Monkeys to Crocodile Cayman. 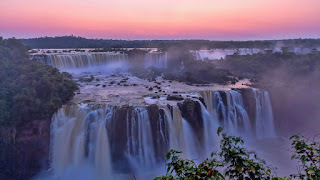 Iguazu name itself comes from the Tupi-Guarani language that is often used in South America, especially in northeastern Argentina and Southwest Brazil. If the separated syllable contains meaning 'y' which means water, and 'uasu' which means big. So, Iguazu is a very large flowing water. The height of Iguazu Falls varies from 60 to 82 meters. While the diameter of the waterfall along approximately 2.7 km. There are also 275 waterfall children at various levels. 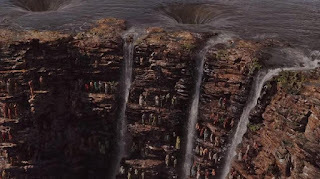 0 Response to "Waterfall in Wakanda is in the Real World"